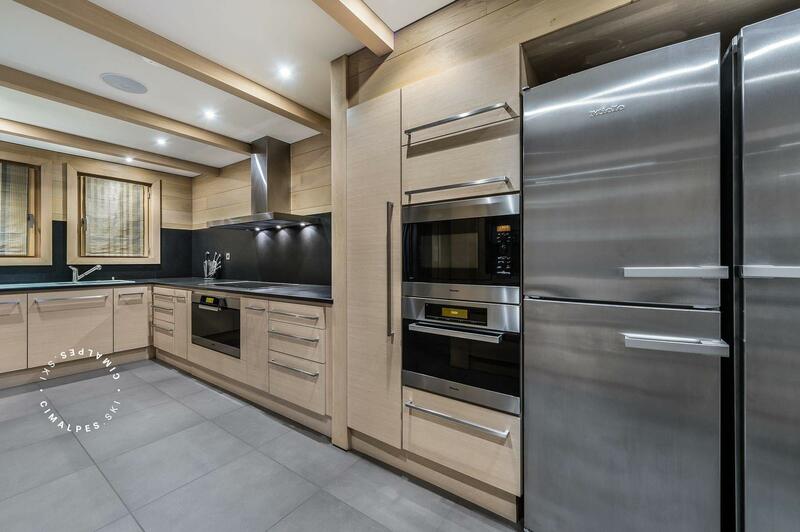 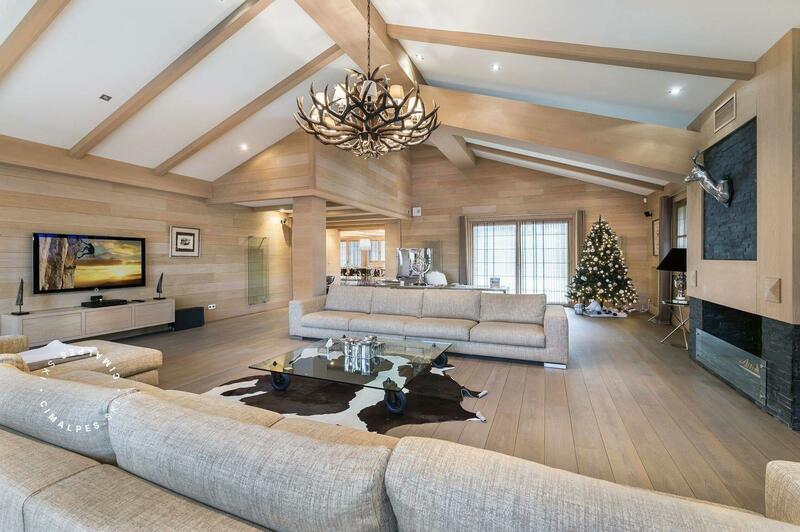 The chalet Licorne des Neiges located in the highly sought after Belvedere district just minutes from the centre of Courchevel Moriond enjoys a dream location on the slopes. 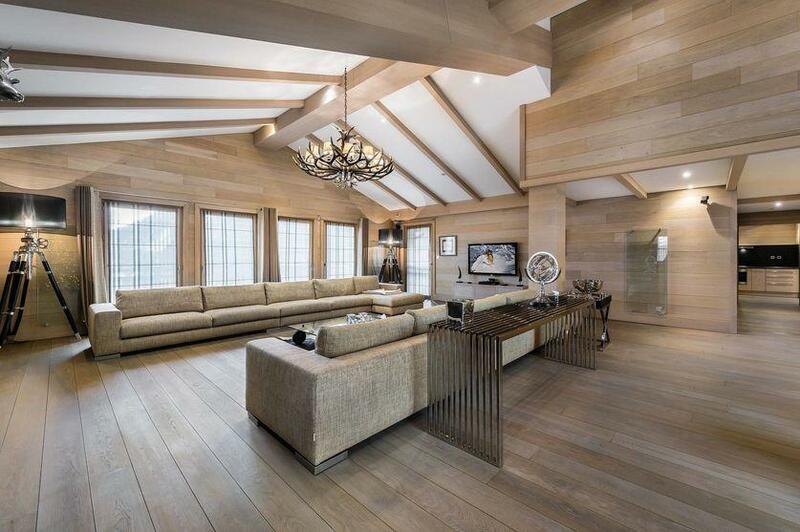 This ultimate luxury chalet is what is done best in Courchevel 1650 and is comparable to the legendary chalets of Courchevel 1850. 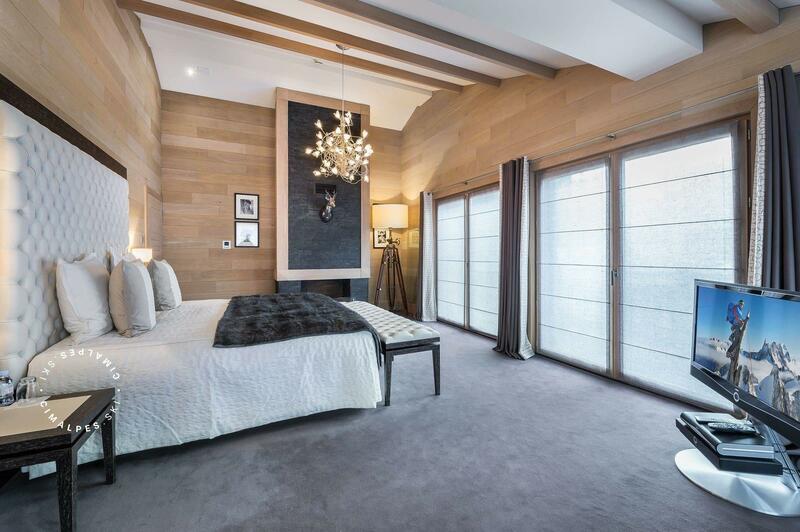 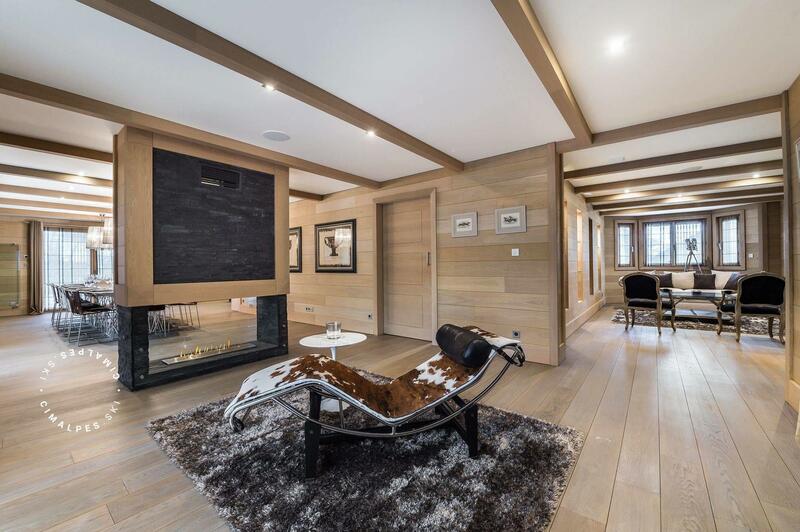 The construction of the ultimate luxury chalet Licorne des Neiges was overseen by the interior designer Jorge Grasso, known for his many ultra-contemporary projects in the definition of construction and the choice of furniture. 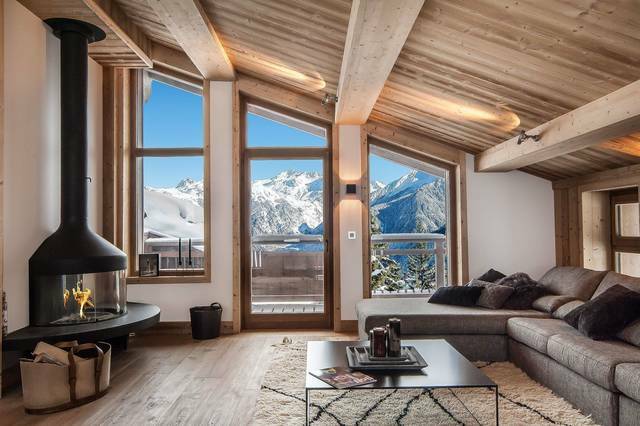 Here the mountain codes are very present with the use of traditional materials such as slate or alpine stone adorning the outer shell of the chalet. 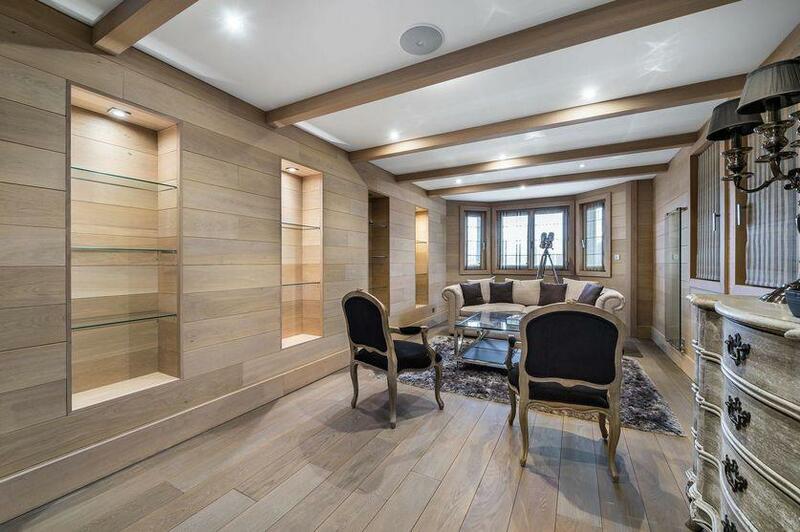 Inside, development and processing of materials find new life and reflect the desire to combine traditionalism, modernity and timelessness. 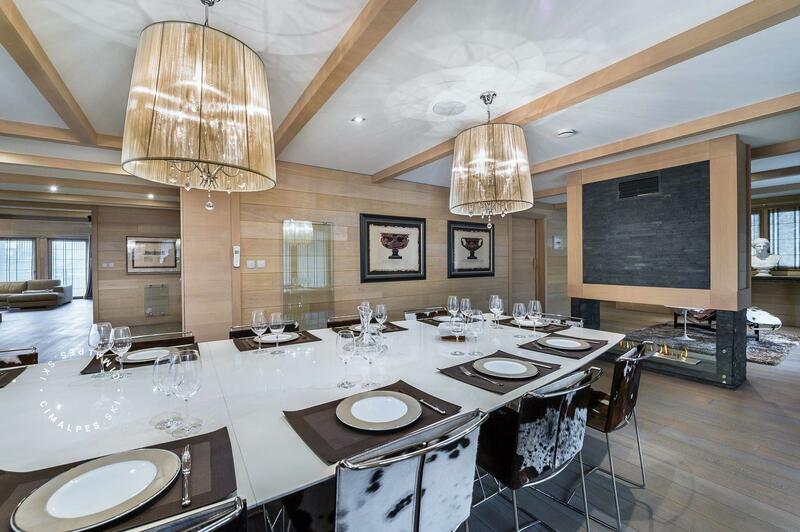 The interior design is a subtle combination of noble materials such as wood, leather, fur, or lacquered glass like the large rectangular table in the dining room. 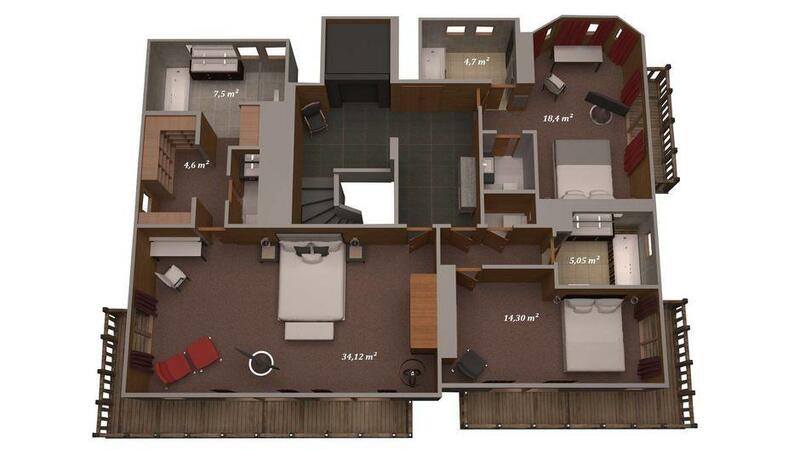 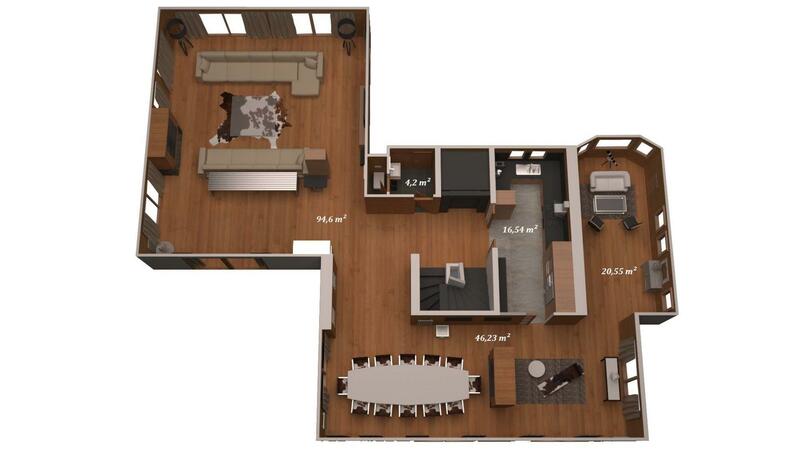 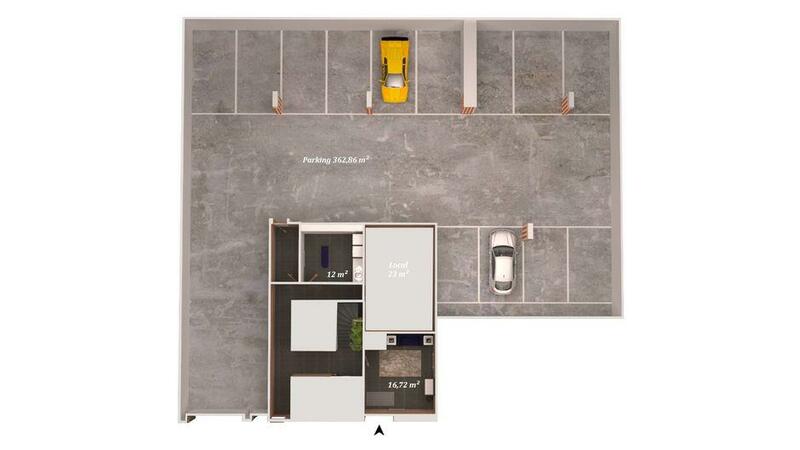 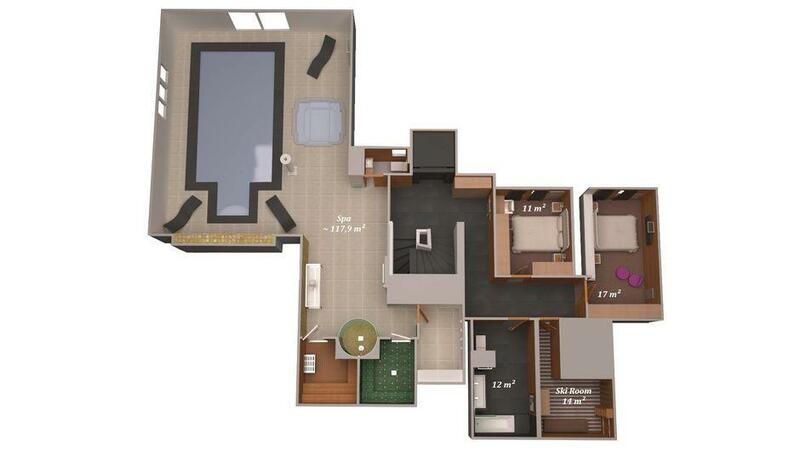 The space is designed for a lifestyle with each room offering a different ambiance. 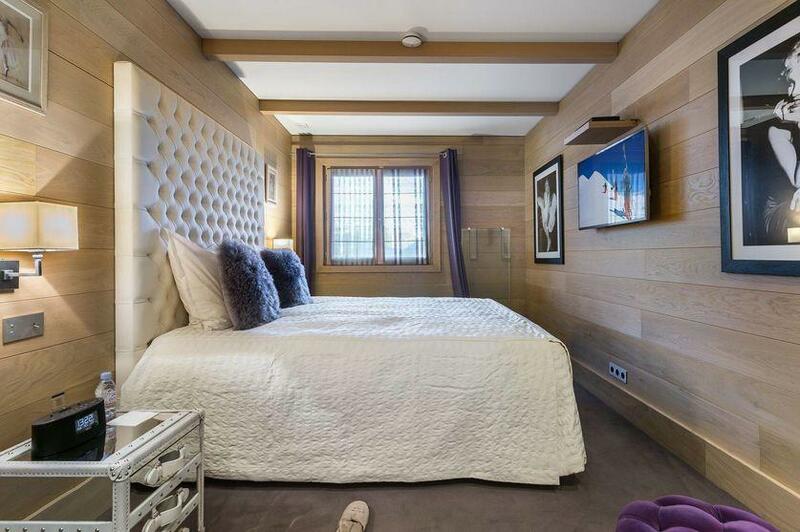 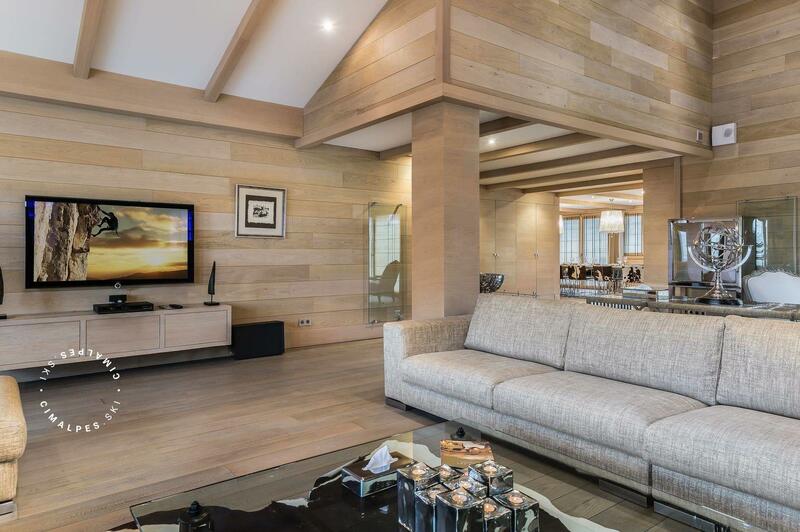 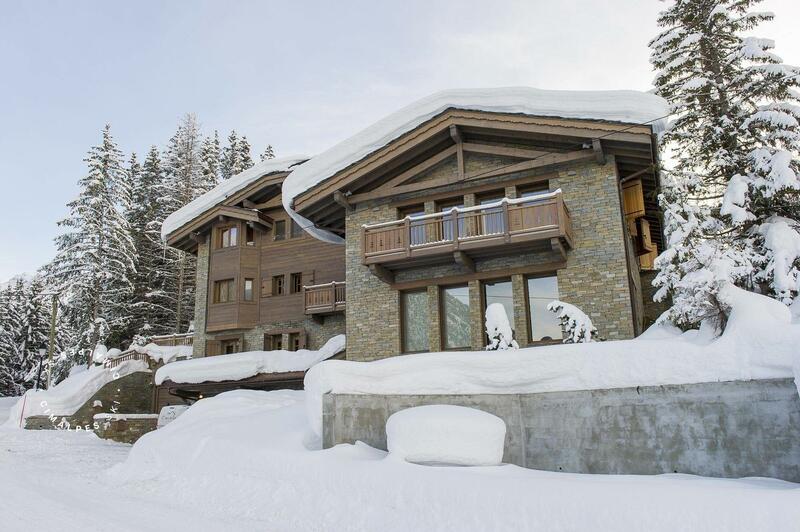 Enjoy spacious areas and numerous upscale amenities offered by this ultimate luxury chalet. 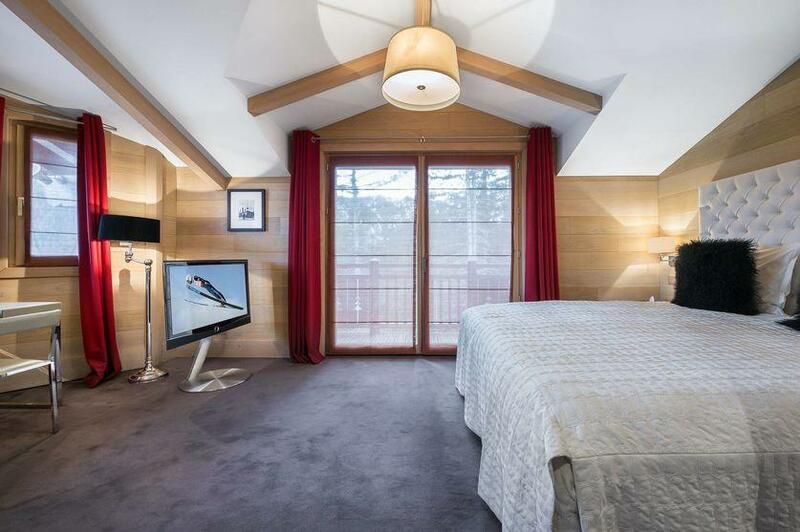 This prestigious chalet sleeps ten adults in five double en-suite bedrooms. 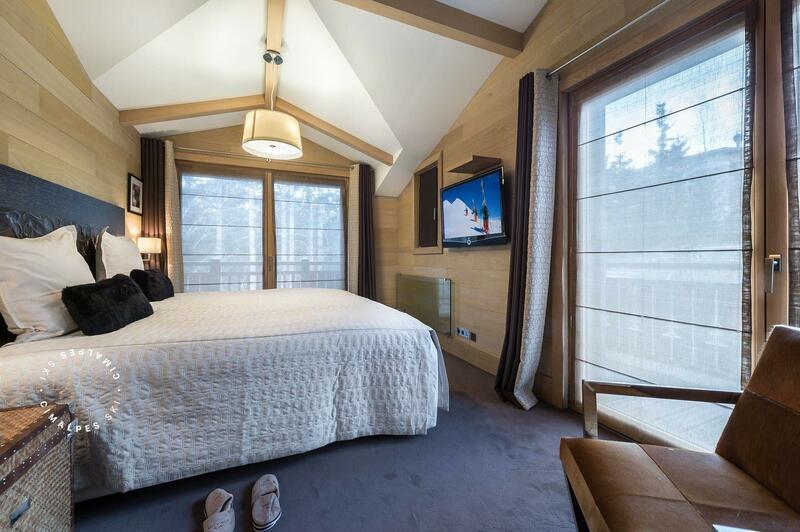 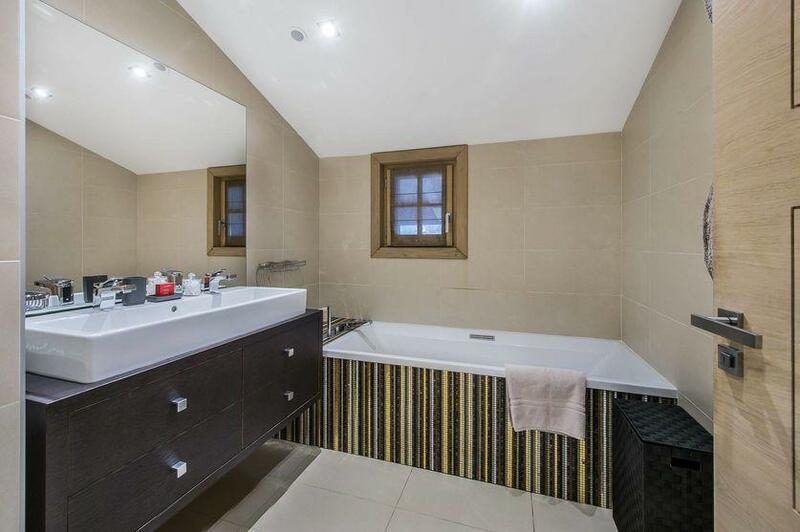 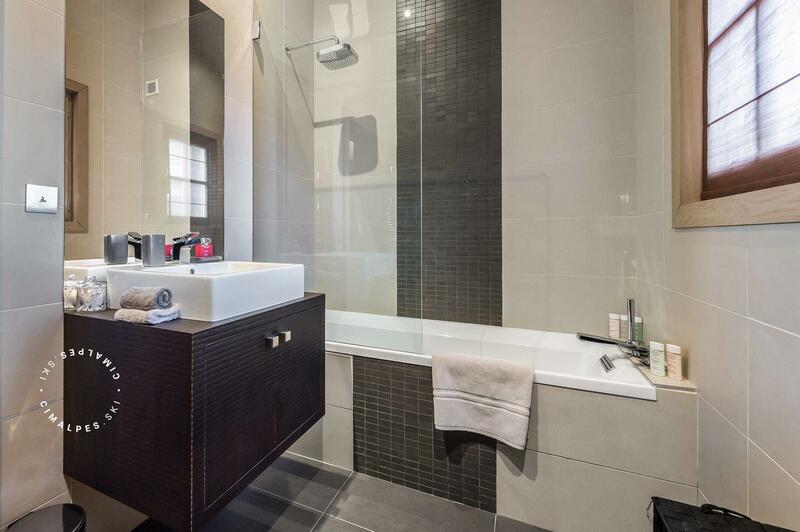 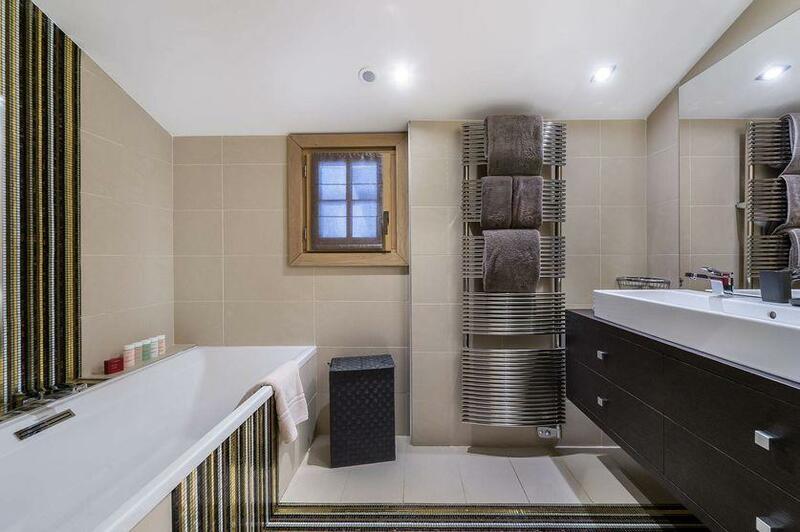 On the top floor of the chalet is a gorgeous master en-suite bedroom with fireplace, dressing room, office and private balcony to charm its occupants. 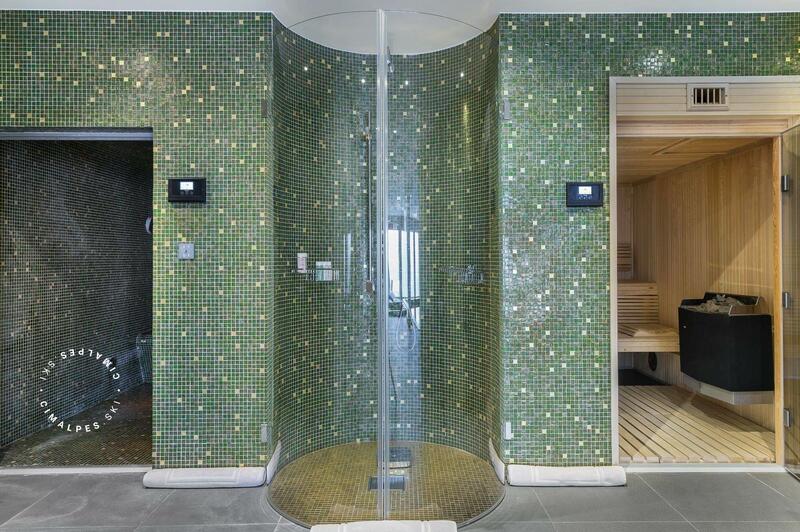 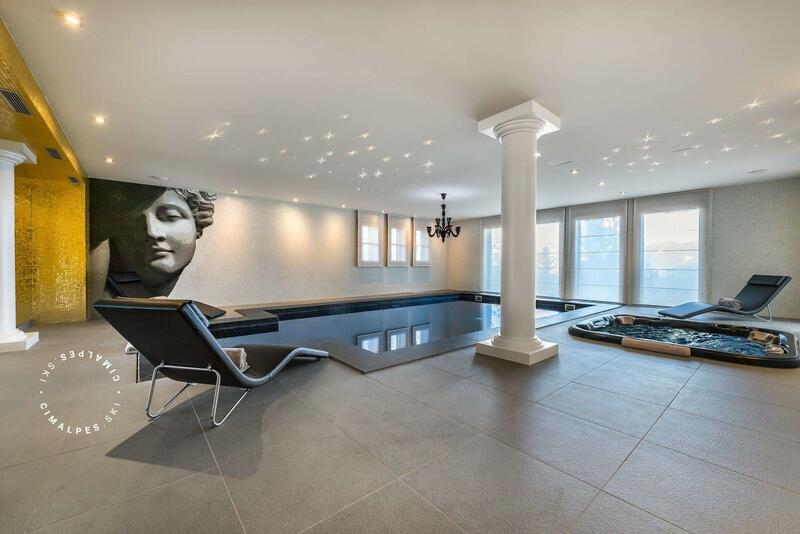 In this chalet on the first floor where welfare is the king, there is a contemporary dark pool highlighted by the lighting of a white starry ceiling and gilded walls with an adjoining spa area. 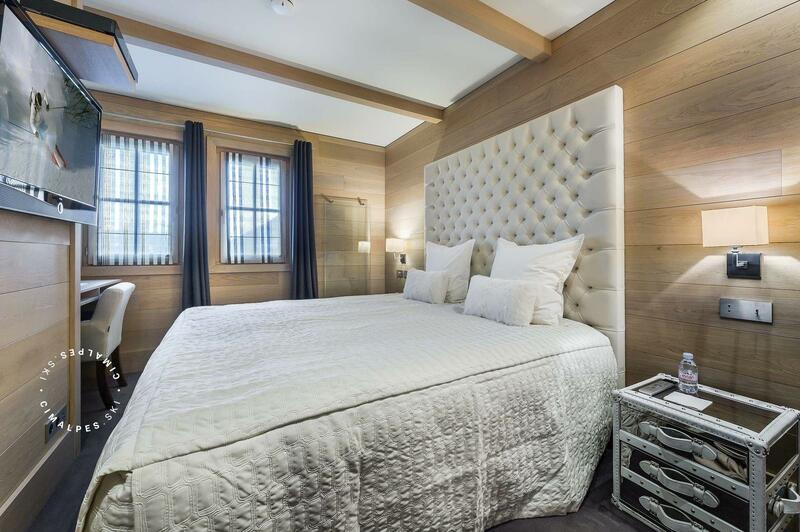 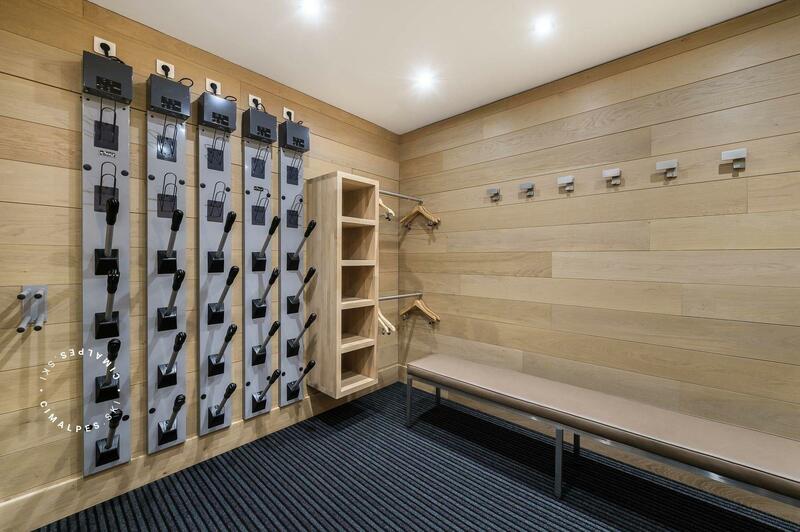 Cimalpes offers its para- hotel services and amenities to make your stay unforgettable: a chef, a butler and a chauffeur will be at your disposal to take you into Courchevel. 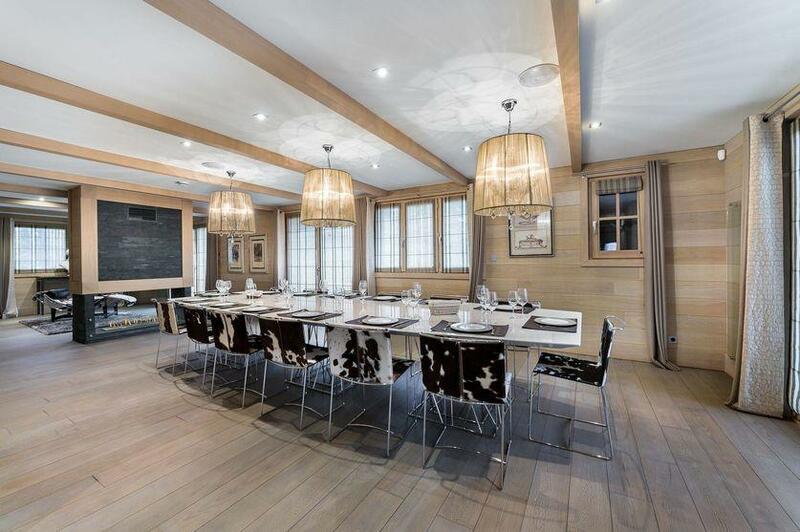 The chalet Licorne des Neiges is a ski in ski out luxury chalet situated in Courchevel Moriond that will appeal to individuals sensitive to interior design and the best of real estate. 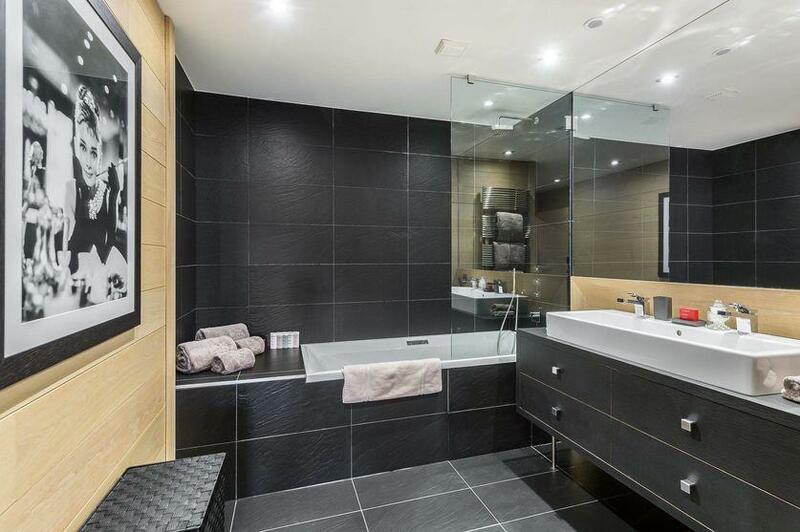 Its decor, upscale amenities and the many high end services offered by the agency Cimalpes in Moriond will ensure the success of your holiday.